Angry about those unclear TV forecasts? 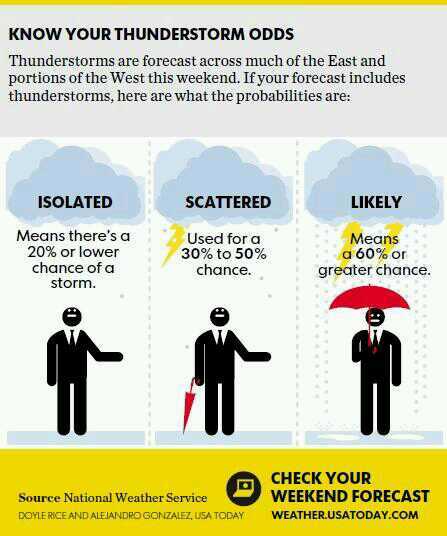 Don’t know what to do when there’s “isolated” showers predicted for your picnic? Take a look at this simple little infographic from USA Today and find out. Hopefully this will lead to a little less hate mail sent to your local meteorologists.